Dr Nicholas Hellmuth (FLAAR) was at DEAL trade show in Dubai this week, flown there by IEC, the organizers of this theme park expo. We had a meeting with Andrei Vakulenko, VP New Markets, Artec Group, to look at their whole body scanner. This meeting was arranged via ME Printer magazine editor introducing FLAAR to ACTIVE, the PR agency for Artec in Dubai (we write articles for ME Printer magazine for many years). 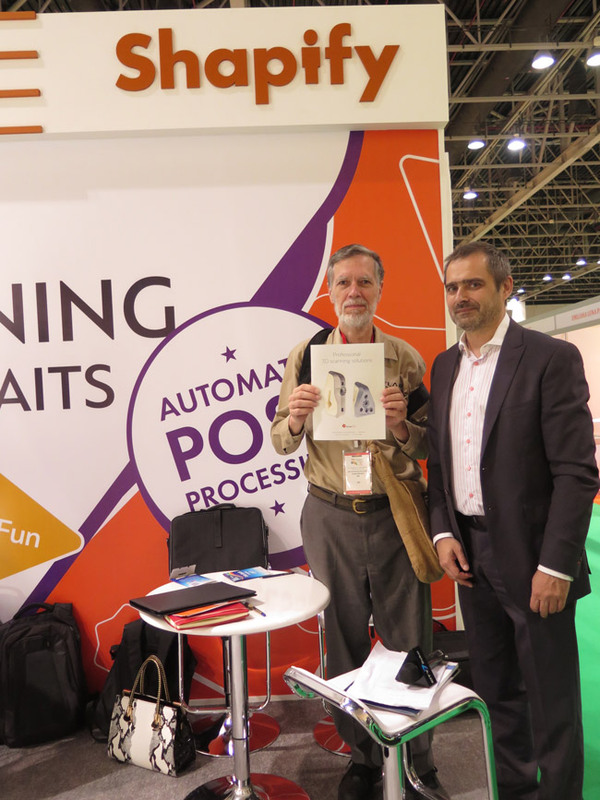 Dr Hellmuth and Andrei Vakulenko, VP New Markets, Artec Group (3D scanners) at DEAL 2015 in Dubai.